Hi all, I hope that you are all doing well. I am here to get some suggestions for my bedroom. It's a small room with two big shelves and a cot. I have also placed a table and a chair. While cleaning the room the other day, I felt that it was too clumsy and I thought of making some changes there. I was surfing online for some ideas and I came across an interesting article [ http://www.surplusfurniture.com/blog...han-you-think/ ]. They have mentioned corner shelving and I think that this is a great way to increase the space in the room. It's a cool idea, and I have decided to replace one of the two shelves with corner shelving. I would like to get some cool designs and ideas for adding a corner shelving to my bedroom. Hoping to get some help from here. Since you don't mention what your housing situation is, is it possible for you to keep some of your stuff somewhere else? I only mention this because I have an unfinished basement where I can store stuff I don't need right away. I have a very small office where I work on my hobbies, but I only keep what I need for current projects, everything else is stored in plastic bins in the basement. Even my reference books and magazine collections, I'll keep in the basement. It gives you a good sense of what you really need to function. If I need to look up something in one of the books, then I'll move the book from the basement to my office. Newfiescreech, Ciel and dededi like this. Thank you blueeyetea for your kind concern. I will definitely refer the site you have given. Hello! My take is that your room just needs less stuff in it. You mention that it is a small room. Corner shelving kind of takes out the corner it is in, so you have less floor space. At least the kind of corner shelving that is in your link. 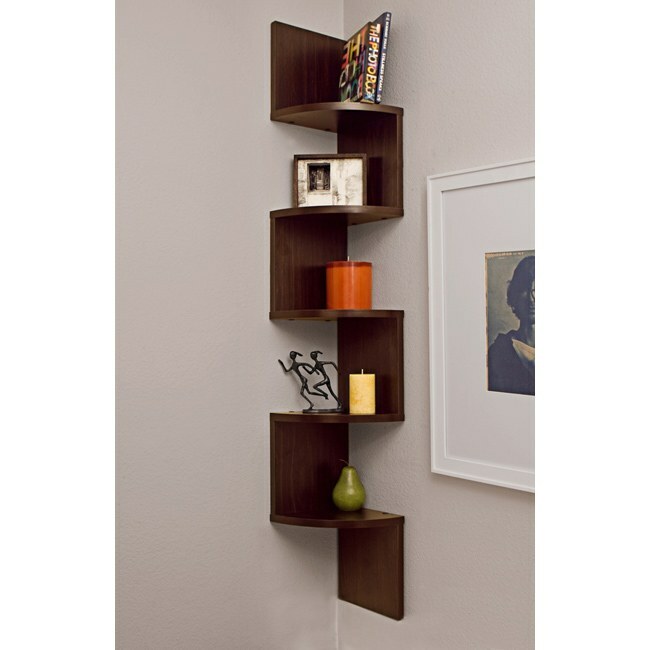 The other kind of shelving you can put above already existing furniture, so you don't really take up extra floor space. But anyway, if you are set on corner shelving, you could get something like this and maybe DIY it, it does not look that complicated. Newfiescreech and antarpuneet_ like this.